Like prosciutto and cantaloupe, pairing the hyper-geometrical, droll, hipster aesthetics of Wes Anderson with the bizarre vision of Roald Dahl was an unexpected, but genius, combination. Very tasty! 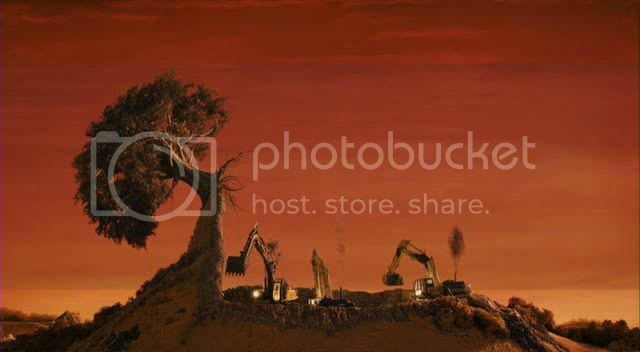 Using stop motion animation at a jerky 12 fps, Fantastic Mr. Fox has a steampunkish look - a faux antiquated Britishness, complete with rolling Cotswoldy hills, hard cider and tweed. Its palette matches that of a real fox: an orange sky over tawny hills, bursts of white and black. 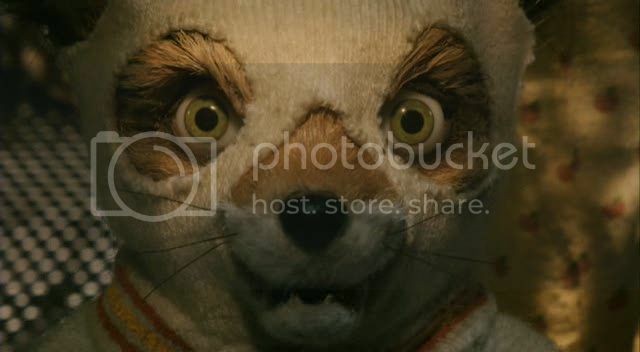 And its soul is all Wes Anderson. 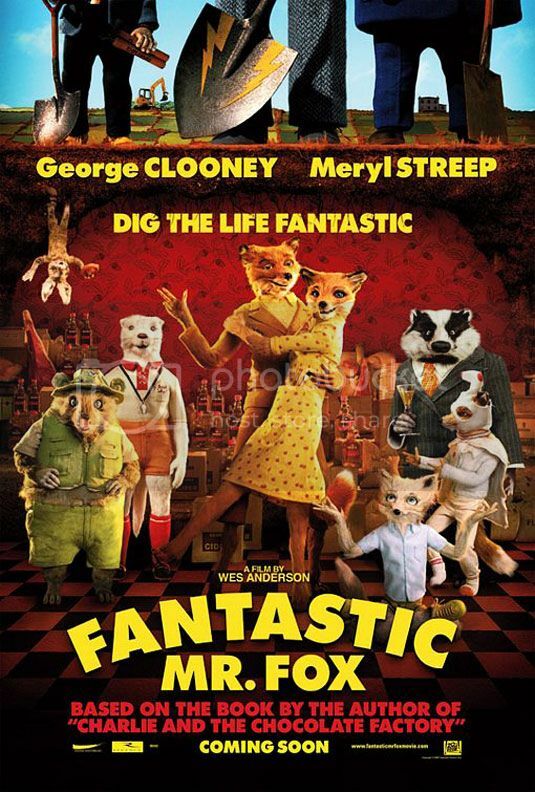 Dahl may have written the original, but the story has now been properly Andersonified: we have the charmingly repulsive braggart father figure, Mr. Fox (voiced by George Clooney, and reminiscent of Royal Tenenbaum or Bernard Berkman), he is the moving force at the center of the story. We have the nobly patient mother, Mrs. Fox (Meryl Streep), and the angsting son, Ash (Jason Schwartzman), small and resentful next to his athletic, ethereal cousin, Kristofferson (Eric Chase Anderson). And you gotta have Bill Murray! The lighting in the film is fantastic throughout. 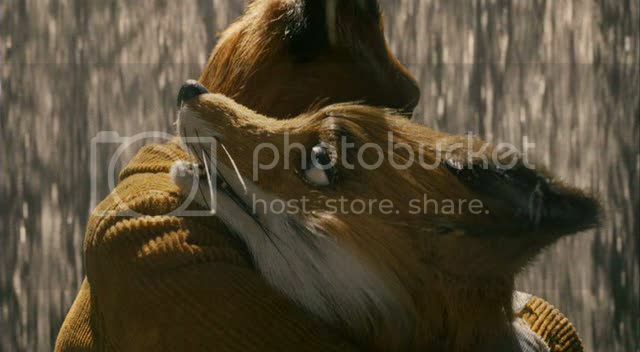 There are two stories at play in Fantastic Mr. Fox: on one level, it is a crime caper/war film wherein Mr. Fox's kleptomania puts the entire animal community in jeopardy after he incurs the wrath of three grumpy farmers (Robin Hurlstone, Hugo Guinness and the always divine Michael Gambon). On another level, it is The Royal Tenenbaums again: a tale of the imperfections, cruelties and funny humanity of a petite bourgeois family. Wes Andersonness can wear thin in some films - The Life Aquatic of Steve Zissou, for example - but, here, his vision produces a film of startling wit and unique beauty. It's an authentic tribute to Roald Dahl, who similarly trafficked in the weird and wonderful. 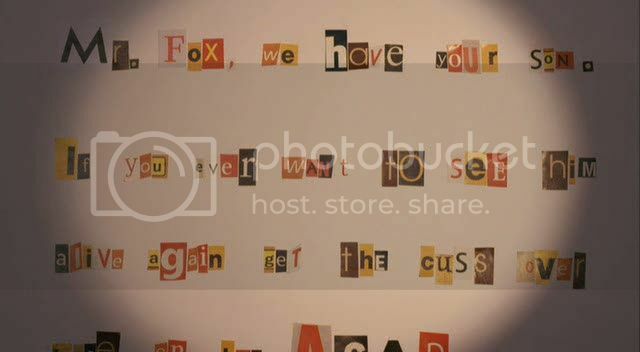 Some sequences, such as the Fox family's panicked flight into the ground, were a shock and a delight. The only vague similarities are with Pixar or Wallace and Gromit, but the mood is different - it is a third way. It's not like other children's fare, but it's much like the mood of Roald Dahl stories: adult, edgy, whimsical and otherworldly. That is, if you let your kids read The Witches , then they're well-equipped to handle this strange, joyful film. Actual, non-boring comment on the film: I <3 Roald Dahl, and this is the first adaptation of his work that I've been able to completely get behind. Wes Anderson's whimsy suits Dahl's non-childish children's tales perfectly. i loved this film too. and it's so beautiful. i loved the sequence in front of the waterfall that you screencapped,it's simply stunning. I LOVE this movie SO much. I don't really feel a connection to Anderson movies usually - I suspect it might have to do with my gender perhaps, because all my brothers love his movies to death. But this one I bought and cherish. Not only was this my favorite movie released last year but I adore Ash to bits. That scene in which he makes his cousin sleep under the trainset and then climbs down and turns it on for him in the dark when he cries... awww! That right there explains my love for both Ash and this movie. The voicework was so amazing.